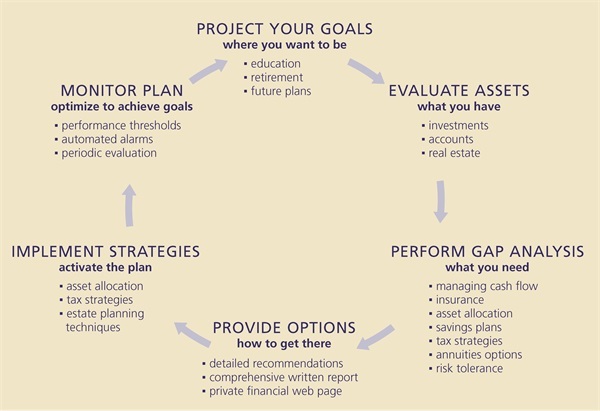 Our planning process can help you pursue your financial goals. We evaluate your options and recommend strategies to get you where you want to be. We don’t stop there. We help you implement the recommendations. Then, we continually monitor your financial situation to ensure you remain on track to pursue your financial goals.